Industrial marking has become an important marketing strategy nowadays. It is not only a decoration but also an image enhancement for original equipment manufacturers. The marking technologies allow them to mark, engrave, stamp, identify, trace, and decorate on a wide variety of materials including metal, plastic, anodized, ceramic, wood, silicon, glass, leather, and so much more. There are some major marking technologies like laser marking, dot peen, scribing, rolling, presses, or electrolytic marking. Each technology has its own advantages and disadvantages, so before purchasing a marking machine, a business should understand factors like material type, part function, part geometry, surface finish, mark quality, and coating thickness. The new laser technology has become more popular in recent years since it offers a low-cost solution for high-precision marking, besides, the process is faster and ensures high-quality results. It is gradually replacing older technologies that are slower and even more expensive. The tech is suitable to use on metal, plastic, foils and films, laminates, and paints. 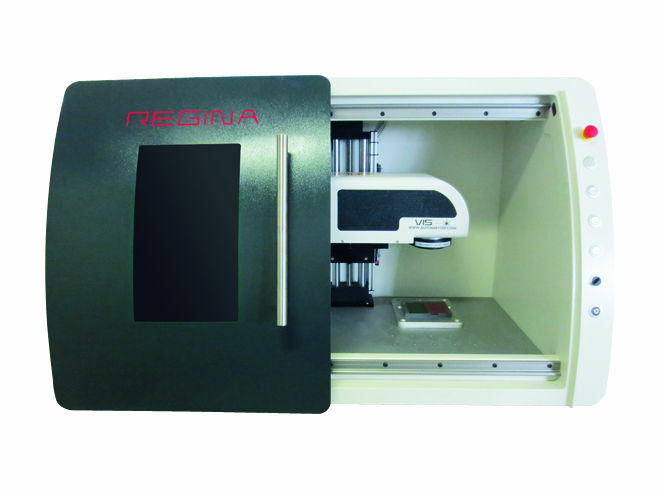 For instance, the REGINA is a state-of-the-art laser marking system from Automator. This has a compact tabletop enclosure and an elegant design, besides, it features the automated door and electric Z axis, a large inspection window, and a large marking area. The brand has some more notable products like nanoVISII and FYBRA. Another major tech is dot peen that provides a permanent marking without the risk of fracture initiation. This is a cheap solution but there are some disadvantages like lower mark quality, mark times are slow, the part must be clamped, and it just can be used on some hardened materials. The electrochemical etching technique can produce high-quality marks on thin and hardened metals. However, the cost can be very high since it requires daily maintenance for its mask and the need for a wastewater filtration system. Overall, laser marking is the most efficient technology these days. It’s recommended for most manufacturers because of the low running costs, excellent mark quality on most materials, fast speed, easy integration into existing manufacturing lines, and maintenance free.